The most incredible experiences come with a good level of difficulty. 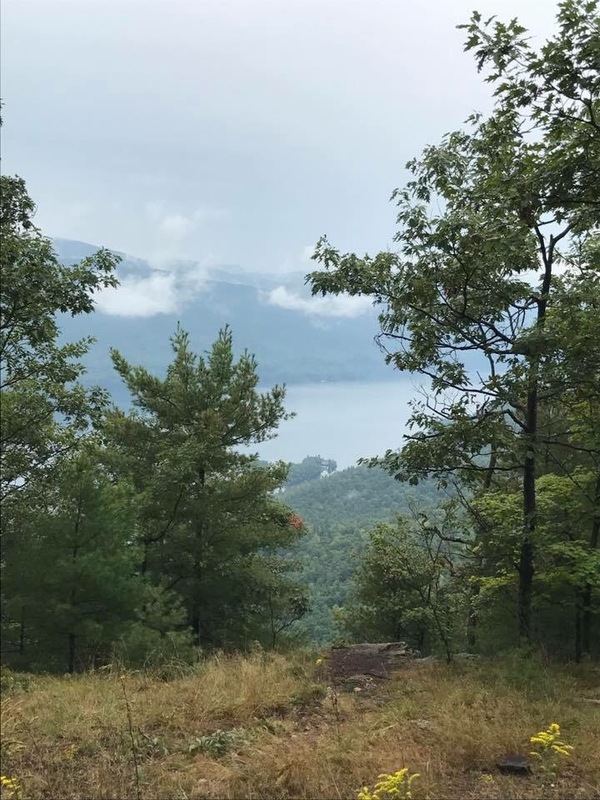 The Adirondack Mountains in upstate New York consists of some of the most difficult terrain, but in exchange will give you a life changing experience! Tongue Mountain is located south of Hague, NY & just north of Bolton Landing. Some call this one of the best mountains that surround Lake George. With several different trails throughout the mountain you are sure to have an adventure of a lifetime. Please take note that this is one of the most difficult hikes to embark upon on Lake George. With over 25 miles in trail length, 1300 feet elevation gain in the first 2 miles, and a high peak of 2,258 feet, you are sure to be challenged. On top of rough terrain, you will also have to prepare for nature’s finest…. WILDLIFE. Yes! Tongue Mountain has a wide variety of critters that call this place home. Some of these amazing animals include, rattlesnakes, black bears, and chipmunks. With wilderness so dense, and endless rows of timber for miles, you almost don’t know what to expect when your reach your first high peak! After struggling for 2.5 miles you finally reach a lean to that you’ve been reading about throughout your hike & it’s the most beautiful thing you’ll see because you know you’ve reached your lookout. It didn’t disappoint! This was my first time seeing Lake George from a Mountain. A dream come true! The only way to look at Lake George is from the tops of the mountain. Overwhelmed with emotion I just looked at that beautiful creation thanking God for every step it took to get there. Throughout our first hike in the Adirondacks we only saw 2 other people. It was pure wilderness for the most part! We now understand why people say “an Adirondack mile”, because a mile in the Adirondacks is a one of a kind. The challenges faced and images captured are so uniquely beautiful! It’s a treasure here on earth. The trail starts off HW 9 just about 5 miles north of Bolton Landing. You will see a small parking lot in front of a small pond just on the east side of 9N road (lake shore drive). The first 2.5 miles you will ascend 1300 feet to Fifth Peak where you will come across a lean to & fire pit. You have also reach the highest peak of tongue mountain! You can continue on another 3 miles to French Point where you will get yet another breathtaking view of lake George. If you have a the energy to keep going you will then come to Montcalm which allows for some amazing pictures and is the perfect place to eat and relax before descending on your loop back to the trailhead. One of the things I love about this mountain is the rich history that surrounds it. Tongue Mountain was known for its use of commercial timber during the 18th century, and provided wood to build many forts and homesteads for the settlers. One of the points, Montcalm, was named after French General Louis-Joseph de Montcalm-Gozon (1712-1759). The presence within the mountains is filled with history and excitement! Tongue Mountain is definitely Challenging but worth every step! It’s unique to the area because you don’t have to drive hours out of town to be apart of true wilderness and thrill. 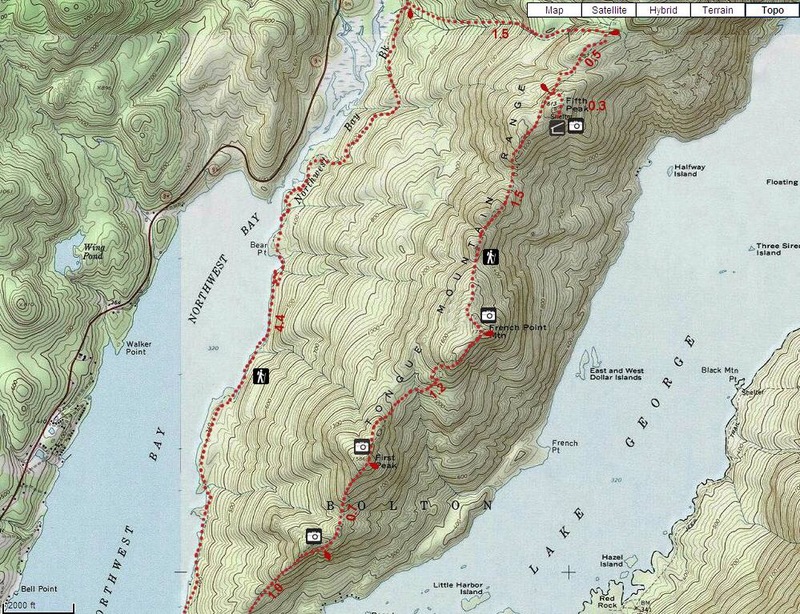 You could do this 12 mile loop in a day but pack plenty of water! After the first snow melt in early spring or early fall rain showers you will come across an amazing waterfall that you can hear a hundred yards away! We are blessed that this was our first hike in the Adirondacks & we can’t wait to go back!